C.J. McCollum is not the only member of the Trail Blazers’ backcourt who’s also a practicing journalist. 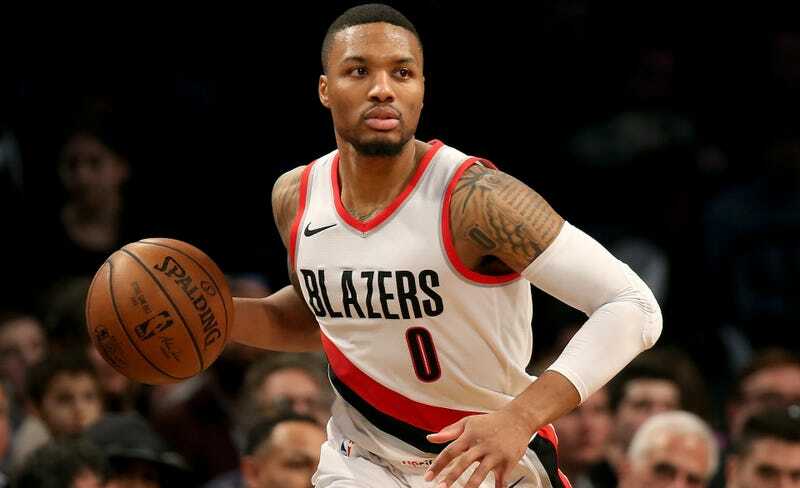 Damian Lillard has spent the week outscooping the basketball press. The point guard has turned into a reverse Adrian Wojnarowski and broke news about where a pair of national basketball writers are headed. On Wednesday, Lillard reported that ESPN’s Chris Haynes would be leaving for a job at Yahoo. He didn’t break Thursday’s news about Taylor Rooks going to Bleacher Report, but only because he has reporting ethics. Today, Lillard reported that USA Today’s Sam Amick would be joining The Athletic, a move that’s part of sportswriting’s current manifest destiny. Damian, for your next scoop, please tell us who’s going to buy our website.